Andrew Cooper grew up in Orlando, Florida and graduated from Florida Atlantic University-College of Business in 2014. During the summer of 2015, Andrew embarked on a surf trip to Bali with 4ocean co-founder, Alex Schulze, where they found instead were beaches covered in garbage. They founded 4ocean two years ago and now employ over 300 people, have removed over 4 million pounds of trash and plastic from the ocean and coastlines, and have expanded globally with operations in Bali and Haiti. Alex Schulze grew up in Marco Island, Florida and graduated from Florida Atlantic University-College of Business in 2014. During the summer of 2015, Alex and 4ocean co-founder, Andrew Cooper, embarked on a surf trip to Bali where they found instead were beaches covered in garbage. They founded 4ocean two years ago and now employ over 300 people, have removed over 4 million pounds of trash and plastic from the ocean and coastlines, and have expanded globally with operations in Bali and Haiti. Scott Coenen is the Executive Director of the Wisconsin Conservative Energy Forum (WICEF), a non-profit organization that launched in fall 2017. As executive director Scott leads the effort to provide a voice for conservatives in the state’s energy policy debate, with a focus on advancing clean, reliable, and affordable renewable energy. Previously Scott had worked as a policy director in the Wisconsin State Capitol and on several Republican campaigns across the state. With a keen first-hand knowledge of the legislative process and political landscape in Wisconsin, Scott is dedicated to educating and informing lawmakers on the clean energy revolution underway in energy markets. Cody McLaughlin is a noted conservationist and conservative thought leader on public policy issues including hunting, fishing, public land access, gun rights, free-market tax and wage policy and the environment. He works as a GOP consultant for conservative political causes, managing clients’ digital communications and online presence and as a trustee of the New Jersey Outdoor Alliance, helping to represent the state’s 1.2 million sportsmen in the political arena. In his free time, he runs several social justice-centered fishing programs in his home state of New Jersey, teaching at-risk youth and adults in disaffected areas the joys of fishing and the skills to go along with it. Captain Daniel Andrews once lived his life’s calling as a full-time fishing guide. As the SW Florida estuaries began declining due to water mismanagement practices, so did Capt. Daniel’s business. He learned of the underlying corruption and lack of awareness in the outdoor community, leading him to fight back by co-founding Captains For Clean Water. As Executive Director, Capt. Daniel keeps a steady pulse on Florida water policy and projects, working with elected officials and government agencies to ensure science-based solutions are implemented to restore our water quality. Capt. Daniel firmly believes that, to protect the Everglades and our way of life, we must be the ones to speak up. Cyrus Hunter Baird is currently the Manager of Government Relations for Safari Club International in Washington, D.C. A talented natural resources professional combining a Bachelor of Science degree from Clemson University in wildlife & fisheries biology with a background and passion in government relations, policy and grassroots campaigns to advocate for conservation and sportsmen and women around the country. Previously, he has worked for Ducks Unlimited, the Theodore Roosevelt Conservation Partnership and the Council to Advance Hunting and the Shooting Sports at the local, state and federal levels to help advance pro-sportsmen and conservation legislation, and enact policies that are rooted in sound, science-based management. He lives in Richmond, Virginia with his wife Megan, daughter Charlotte, and their golden retriever, Caroline. Kyle serves as the National Organizer and Spokesperson for Young Evangelicals for Climate Action, a national organization working to mobilize young Christians toward climate action. Kyle holds an undergraduate degree in religious studies from Calvin College (B.A. '12), a Master of Divinity degree from Western Theological Seminary (M.Div. '16), and is an ordained minister in the Christian Reformed Church in North America (CRCNA). He has been featured in national and international news outlets such as PBS, NPR, NBC News, Reuters, and U.S. News and World Report. He is married to Allison and resides in Grand Rapids, MI with their son Simon. 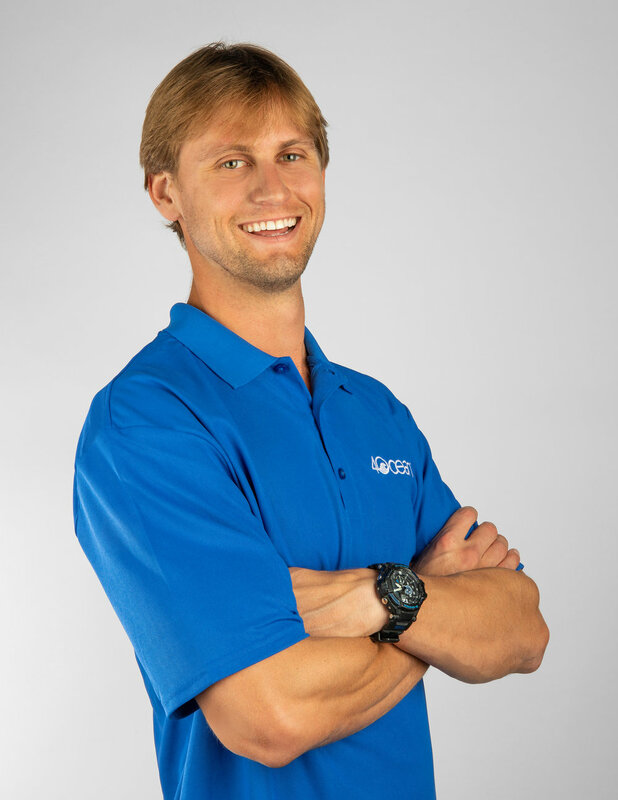 Guyon has been designing Structures for Reef Life Restoration (https://www.reefliferestoration.com/) for the last 5+ years. He has brought vision to problems that have no precedent in an effort to leverage concept and reality to provoke change in ocean architecture. Our vision is to bring a square mile of artificial reef into reality and finally make scaled impact on the coral crisis. Born and raised in Puerto Rico, Ruby Rivera now lives in the Washington, D.C. area, where she works for The Nature Conservancy’s Global Diversity, Equity, and Inclusion Team. At TNC, Ruby has developed from-the-ground-up and manages a learning exchange program designed to enable and empower the growth of new partnerships between TNC and community-based non-profit organizations representing diverse communities throughout the United States. 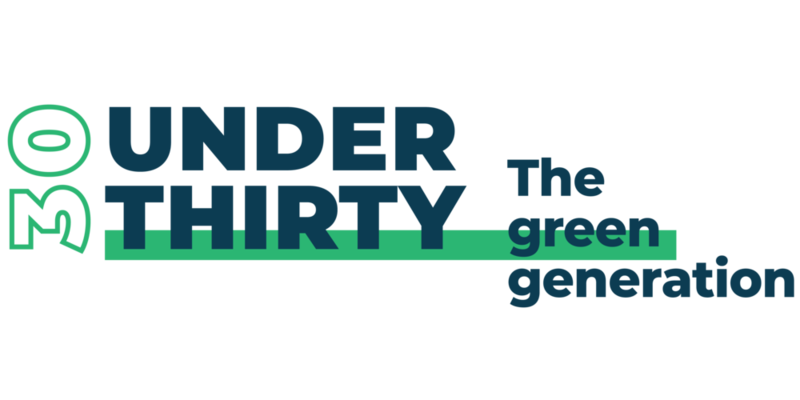 This year, she also led the development of TNC’s gender integration guidelines for equitable conservation and worked closely on a pilot to improve diverse hiring practices. Ruby is passionate about people, nature, conservation, and working towards a healthy and safe environment for everyone, regardless of their race, gender, citizenship, and/or economic status. Erica Bjelland works for the Rural Renewable Energy Alliance (RREAL), a Minnesota-based nonprofit that works locally and internationally to install solar arrays in partnership with low-income communities to reduce energy costs and provide solar education opportunities. Erica advocates for clean energy access by coordinating solar outreach opportunities, workforce trainings, and solar projects in partnership with Habitat for Humanity affiliates. In her free time, she enjoys running outside, playing music, and keeping up with environmental policies. Erica graduated from Concordia College in Moorhead, MN with degrees in Environmental Studies and Global Studies. Emily is co-founder of Blue Latitudes and is a marine conservation biologist, oil and gas consultant and explorer. She previously worked as a field technician on the BP 252 Oil Spill in the Gulf of Mexico. She has extensive experience conducting both international and domestic environmental impact assessments for governmental agencies and private sector clients, and specializes in developing sustainable environmental strategies for offshore energy development and decommissioning. She has a B.A. in Environmental Science from Connecticut College and an M.A.S degree in Marine Biodiversity and Conservation from Scripps Institution of Oceanography. She was also listed on Forbes 30 under 30 in the Energy Sector. Amber is co-founder of Blue Latitudes and an oceanographer, environmental scientist and entrepreneur. Her expertise is unique, using technology to facilitate the intersection of science and communication. A former Ocean Curator at Google in partnership with the Sylvia Earle Alliance, she engineered and launched intelligent layers in Google Maps that distill and relate complex concepts in ocean science for a variety of audiences. She has extensive experience as a project manager specializing in ecological impact assessments, marine biological monitoring and habitat restoration through the Rigs to Reefs program. She has a B.A. in Marine Science from UC Berkeley and a M.A.S in Marine Biodiversity and Conservation from Scripps Institution of Oceanography. She was also listed on Forbes 30 under 30 in the Energy Sector. Alex Fitzsimmons is Chief of Staff for the Office of Energy Efficiency and Renewable Energy at the U.S. Department of Energy. In his current role, Alex leads strategic planning, policy, and communications, supporting the Assistant Secretary in advancing the mission of the office. Prior to joining the Department of Energy, Alex worked on energy policy for a variety of D.C.-based organizations, including the Institute for Energy Research, where he served as the Policy Director managing energy and environmental issues at the state and federal level. Alex is a graduate of The George Washington University in Washington, D.C.
Amber Mariano is the State Representative in Florida where she has been representing House District 36 since 2016. She graduated from the University of Central Florida with a Bachelor of Arts degree in Political Science concentrating in American Politics and Policy. While serving in the Florida Legislature, Rep. Mariano has been working to improve flooding issues in Pasco County and make the higher-education system more affordable and accessible. Walid Halty is the co-founder and CEO of one of Boston's fastest-growing companies, Dvinci Energy (Dvinci.co). Featured on publications such as Forbes, Inc., and Entrepreneur Magazine for his early success, Walid defines himself foremost as a philanthropist because of his relentless drive to serve others. Gamal Albinsaid, MD, M.Biomed, is a young doctor, researcher, technopreneur, and sociopreneur (ecopreneur) from Indonesia. Gamal is CEO of Indonesia Medika, an organization engaged in the collaboration of scientific fields and the applicable field with health interconnection to create innovative health products. 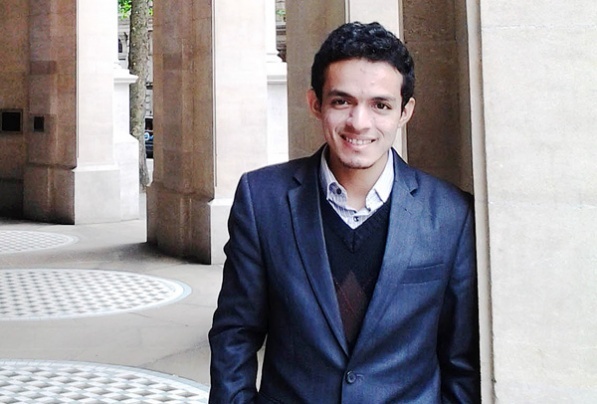 Gamal got Mentoring from Cambridge Program Sustainability Leadership. He was invited to Buckingham Palace to dinner with Prince Charles because of his initiative. He has developed some innovative products, such as Garbage Clinical Insurance, InMed: Healthcare Is In Your Hand, and Siapapeduli.id. Dr. Stafford Sheehan is co-founder and Chief Technology Officer at The Air Company (www.aircompany.com), where he leads research and development to produce clean and sustainable consumer products out of carbon dioxide from the air. He completed his PhD at Yale University in 2015. He has authored over 35 scientific publications and patents and is internationally recognized for his research on artificial photosynthesis and carbon dioxide conversion. Xiangkun (Elvis) Cao (www.elviscao.com) is currently a Ph.D. student in Mechanical Engineering at Cornell University in Ithaca, NY. His research at Cornell focuses on developing a chemical reactor technology called “HI-Light” that can turn CO2 into either syngas or methanol in an artificial photosynthesis process. For his work on HI-Light, Cao was inducted as a member of the Forbes 30 Under 30–Class of 2019 in Energy, as well as a 2018-2019 Local Pathways Fellow by the UN Sustainable Development Solutions Network – Youth Initiative (SDSN Youth). Sarah stepped into the environmental nonprofit world with a background in economics and environmental issues. As a project manager on the Clean Energy team at Environmental Defense Fund, her work focuses on a wide range of energy issues such as electric vehicles, energy efficiency and various components of grid modernization. Sarah also assists in the implementation and execution of projects that accelerate technology innovation and market adoption of clean energy, especially delivering these solutions to those for whom the cost of energy creates a disproportionate financial burden. She works to demonstrate the case for the wider implementation of renewables and other clean energy solutions through hard data and sound economics. Sam Teicher is the co-founder and Chief Reef Officer of Coral Vita, a company that grows corals to restore dying reefs. They use breakthrough methods developed by the Mote Marine Lab and Gates Coral Lab to accelerate coral growth up to 50x while strengthening their resilience to climate change. Coral reefs support up to one billion people, sustain 25% of marine life, and generate $30B annually through tourism, fisheries, and coastal protection. By creating a global network of land-based coral farms and selling restoration services to hotels, governments, re-insurers and other customers that depend on reefs’ valuable ecosystem services, Coral Vita works to preserve coral reefs for future generations. Maher is the Co-Founder and CEO of Infinite Cooling, a start-up disrupting the way power plants and industrial processes use water. Maher has a PhD in Mechanical Engineering from MIT where, at the Varanasi Research Group, he developed a novel patent-pending technology to efficiently capture water from fog and cooling tower plumes using electric fields. This technology is the basis of Infinite Cooling, which has won numerous awards including the MIT $100K, the MassChallenge diamond award, the Rice Business Plan Competition and the DOE national competition. Maher got several awards for his work including Forbes 30 Under 30 in Energy, a World Technology Award and the Lemelson-MIT student prize. Samir Lakhani founded EcoSoap bank, a humanitarian and environmental non-profit organization working to save, sanitize, and supply recycled hotel soap for the developing world. Before founding Eco-Soap Bank in 2014, Samir was deeply involved in aquaculture and nutrition projects in northern Cambodian villages. He has also developed solar lighting solution projects in Cambodia, Bangladesh, and Nepal. Through his six years of nonprofit work in the areas of nutrition, water accessibility, and sanitation/hygiene, he has witnessed firsthand how delivering key products like soap transform the health and well-being of impoverished communities. Alyssa Adler has always had a strong relationship with nature and the outdoors. 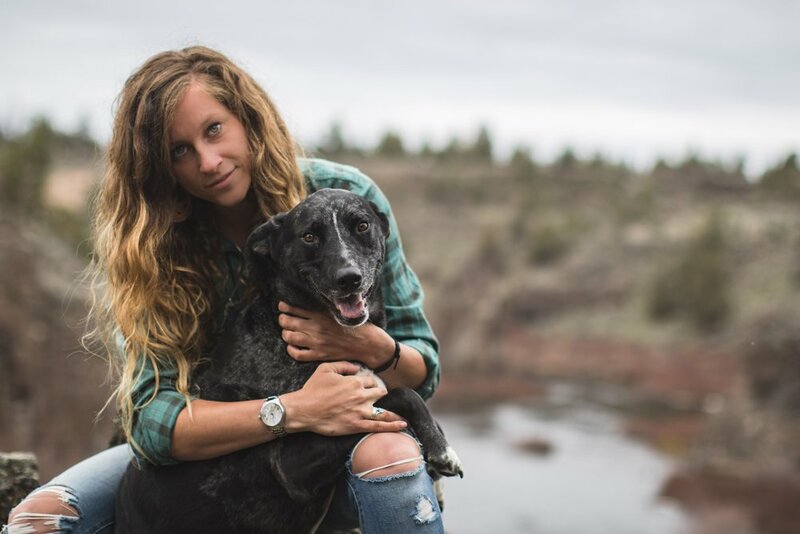 In search of a life full of adventure, she found her passion for the ocean while studying at Oregon State University. As a young marine biologist, she’s had the opportunity to work as an AAUS Scientific Diver for University of North Carolina on an offshore reef ecology project, and has participated in several of NOAA’s reef survey missions. She has worked with National Geographic and Lindblad Expeditions since 2014, working globally as an underwater videographer and ocean educator - from the balmy coral reefs of the Seychelles to the abundant kelp forests of Southern Argentina. Katie grew up in the Norfolk/Virginia Beach area, where she fell in love with the ocean at a very young age. She currently serves on the digital team at Ocean Conservancy, a nonprofit organization that utilizes science-based solutions to tackle the ocean's biggest threats. She also serves as Deputy Editor at the American Conservation Coalition, is a contributor Thought Catalog, and is a freelance writer, editor, and copywriting consultant for travel, outdoor, and lifestyle content brands. Bertie Gregory is a 25-year-old wildlife cameraman and presenter of National Geographic's first digital wildlife series. A childhood obsession with wildlife led to him earning the titles of Youth Outdoor Photographer Of The Year, 2020VISION Young Champion and a youth nomination at the Wildscreen Panda Awards. His latest project with Winter, Jaguar vs. Croc, premiered last December during Nat Geo WILD’s eighth-annual Big Cat Week. Since then he was awarded the prestigious BBC Natural History Unit camera bursary, filming for the last two years on the BBC's next landmark series, One Planet: Seven Worlds. 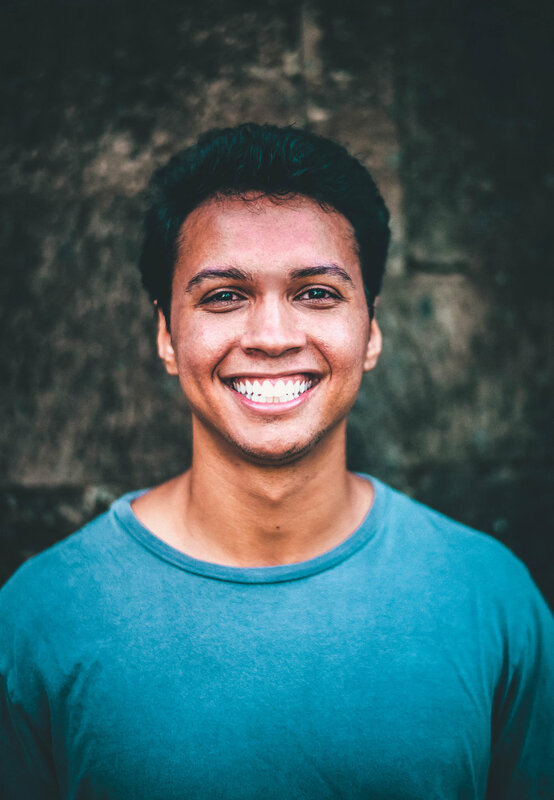 Evan Lutz is a 26 -year-old social entrepreneur from Baltimore, Maryland who is passionate about food justice, entrepreneurship, and the Baltimore Ravens. He's a frequent guest on NPR, the Washington Post, and Baltimore News stations. He's been recognized in Forbes 30 under 30 in the social entrepreneurship category, Baltimore's 40 under 40, and Montgomery County Emerging Business of the Year Award, previously won by Honest Tea, Sweet Green, and Comcast. He was also featured on ABC's Shark Tank, where he made a deal with Robert Herjavec. Mike is the CEO and Co-Founder of Finless Foods. Mike’s background in Biochemistry and Molecular Biology has played a big role in him dedicating his life to climate justice and science advocacy. His research has spanned fields from solving food crises in Africa to marine conservation in Southeast Asia. He’s worked for New Harvest and was also Editor-In-Chief of Chinese news website, ChinaSMACK. Brian is the CSO and Co-Founder of Finless Foods. 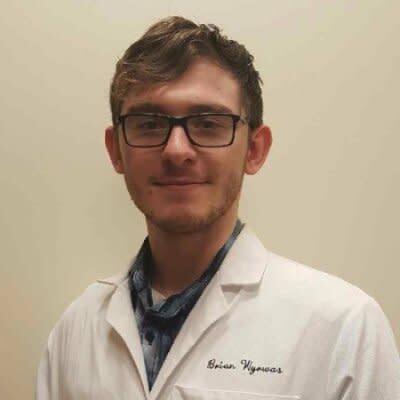 Brian’s background in Biochemistry and Molecular Biology is inspired by a deep desire to learn how the world works at a core level. At Weil Cornell Medical College his scientific research was based in the field of endocrine oncology, with a focus in the primary culture of cells that experience uncontrolled growth for therapeutic interventions. Derek Baker designs indoor, vertical, hydroponic agricultural systems for Freight Farms. The Boston startup's flagship product is the "Leafy Green Machine," a vertical farm that uses no soil, recirculates all the water it uses and is self-contained in a 40-foot freight container. The company has a contract with NASA to develop an enclosed food growing and oxygen-generating system that can work in outer space. Think "The Martian." Baker’s team is working on a new product that will boost efficiency and introduce new features. Spencer Nelson is the Program Director for Energy Innovation at ClearPath, a DC-based advocacy group that focuses on conservative clean energy and climate federal policy solutions. He manages ClearPath’s work on nuclear energy and energy innovation, including advanced renewables. Spencer works with industry, national labs and other stakeholders to develop innovation-focused policy and regulatory reforms to support future clean energy development. Previously, Spencer worked on state-level solar policy and conducted environmental genetics research at both UNC Chapel Hill and the National Institute of Environmental Health Sciences.